Very fast, easy, and accurate! Make four Flying Geese at one time; the printed cutting chart on the ruler works for TWO different methods! 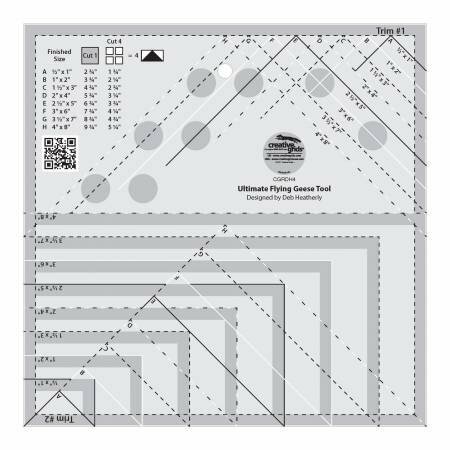 Or, oversize your favorite method for making Flying Geese, then use the Ultimate Flying Geese Tool to trim to perfection. Create eight sizes from 1" x 2" up to 4" x 8" finished blocks. 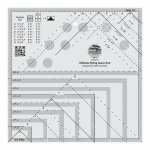 The cutting requirements for each size is printed on the ruler, or use your favorite method and create over-sized units and then trim to perfection.